Akshay’s latest flick is of the crime-mystery genre and inspired from the real life incidents from the life story of naval officer KM Nanavati. It brings the true story of love, passion, murder, morality, and justice that once had shaken the country badly. An ex-navy officer named Vipul K Rawal has penned the story. Vipul has served the film with its screenplay and writing the dialogues. Moreover, he has led the film unit to use the original and authentic venues and other objects which were used by the subjects of the story. The audience came to a point that it has been one of its highlights. Akshay plays the role of Rustom Pavri, a naval commander. He was happily married to Cynthia played by Ileana D’Cruz. After some years, he shocked to see his wife in bed with another man, Vikram Makhija played by Arjan Bajwa. Seeing him in the close position, he killed the man on the spot. One of the workers of the house of Vikram informed some media houses. The rest forms the crux of the story which you should watch. 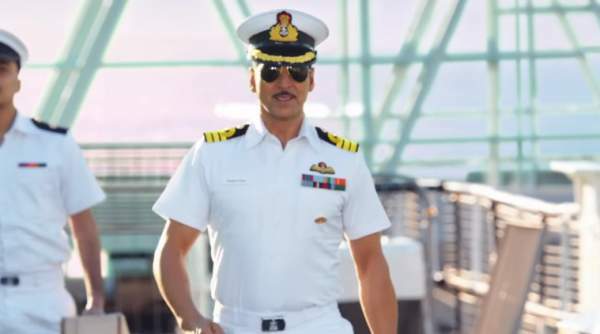 Though Akshay has portrayed many officers in his earlier films, this is the first time when he has been a naval officer (in the movie). The fans have loved his new avatar. He appeared to have reinvented himself for the flick after doing films like Special 26, and Baby. The performance of Akshay has been one of the movie’s highlights. Ileana has done justice to her role as a wife and has sparkling chemistry with Akshay is appreciable. Supporting actors like Arjan, Esha Gupta, Usha Nadkarni, Sachin Khedekar, Kumud Mishra, and Pawan Malhotra have portrayed their characters very well. Neeraj Pandey is the co-producer of the film along with Aruna Bhatia, Nitin Keni, Akash Chawla, Virender Arora, Ishwar Kapoor, and Shital Bhatia. The film is filled with good production values alone with a good script, romantic songs, background music, picturization, and exotic venues have been its assets. Below are some of the Rustom reviews picked from the Twitter. They are shared by foreign audiences who have watched the film in the premiere shows organized there. Saw #Rustom yesterday. Very good film & recommended. Well done @akshaykumar & team. I thought @Ileana_Official was outstanding #RustomReview #Rustom & it took me by surprise. It’s interval n it looks like that director Tinu is so talented that he can never go wrong, so he has done it with #Rustom also. Director Tinu sir you are really very talented n you have proved it again with #Rustom that You can never go wrong whatever star cast is! Do share your Rustom movie review after watching the film.